W. Michael Gear, who holds a master's degree in archaeology, has worked as a professional archaeologist since 1978. He is currently principal investigator for Wind River Archaeological Consultants. 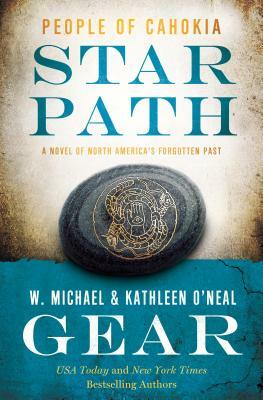 With his wife, Kathleen O’Neal Gear, he has written the international and USA Today bestselling North America's Forgotten Past Series (including People of the Songtrail, People of the Morning Star, Sun Born, Moon Hunt, among others); and Anasazi Mystery Series. Kathleen O'Neal Gear is a former state historian and archaeologist for Wyoming, Kansas, and Nebraska for the U.S. Department of the Interior. She has twice received the federal government's Special Achievement Award for "outstanding management" of our nation's cultural heritage. With her husband, W. Michael Gear, she is the co-author of many books, including the North America’s Forgotten Past series (People of the Songtrail, People of the Morning Star, Sun Born, Moon Hunt, among others); and the Anasazi Mysteries series. She and her husband live in Thermopolis, WY.